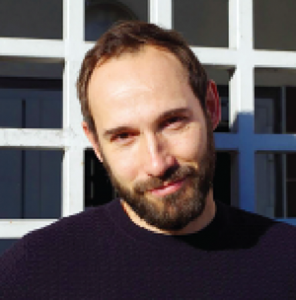 Guillaume Lachenal is an associate professor in the history of science at the Universite Paris Diderot. His research themes include empire, medicine and decolonization, and the history and anthropology of biomedical research in Africa. Since 2015, he has served of president of the social sciences and public health committee of the National Agency for AIDS Research. He will discuss colonial medicine in East Cameroon. His presentation is part of a year-long “One Health and History in Africa Lecture Series,” that brings in external guest scholars with expertise in a range of disciplines. One Health understands that the health of humans, animals and ecosystems are interdependent. The workshop is organized by the “Mapping Hot Spots” thematic cluster funded by the Holtz Center for Science and Technology Studies and coordinated by Tony Goldberg, Pathobiological Sciences, Neil Kodesh, History, and Josh Garoon, Community and Environmental Sociology. The cluster aims to develop an interdisciplinary program that bridges the biological and biomedical sciences, humanities, and social sciences to examine questions about the historical constitution and mapping of disease “hot spots,” and the relationship between these processes and the “One Health” paradigm currently promoted by the United States Centers for Disease Control and Prevention, the World Health Organization, the World Bank and a range of other global health and development agencies. The organizers are working to establish a novel collaborative infrastructure on the UW-Madison campus for exploring how science, history, society, and culture intersect in Sub-Saharan Africa and elsewhere to establish and perpetuate modern, place-bound concepts of health and disease, and their ecological linkages. The thematic cluster provides a historical and sociological framework for understanding contemporary scientific research, and it strives to inform ecological understandings of the ways in which past experiences with disease and disease interventions influence the present.